So you’ve seen various Angry Birds Star Wars teaser trailers including the one showing Luke and Leia gameplay and another one with R2-D2 and C-3PO. Today, another one of Rovio’s exclusive gameplay trailers for its upcoming Angry Birds Star Wars game have been published on the web and this time, it features Han Solo & Chewie. One week to go! 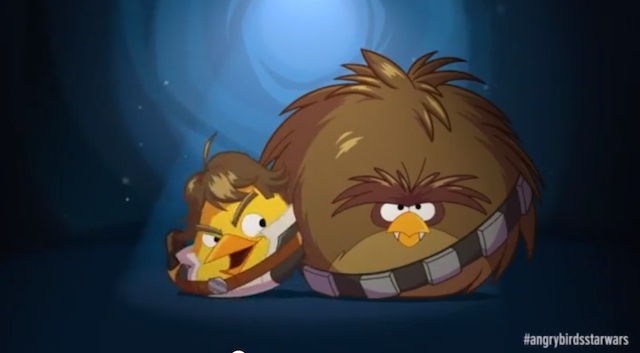 Until then, head over to our http://angrybirds.tumblr.com page for fan art, comics and more videos like this one.